Sri City, February 27, 2016: The 45th National Safety Week celebrations began with a horde of awareness programmes and competitions on Saturday in Sri City. The week long safety campaign was inaugurated by Mr. N. Sekhar, Vice President (Infra) and administered the safety pledge by all the participants. 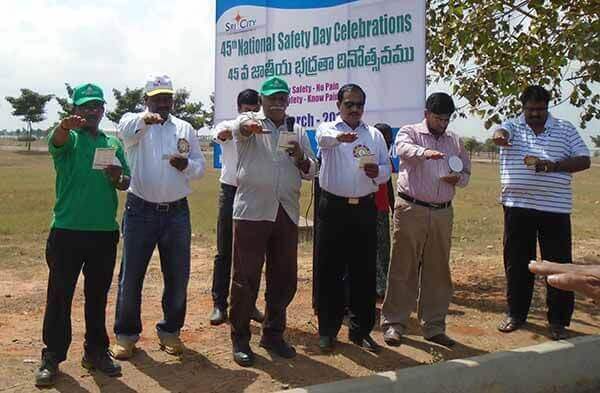 Mr. K. Narendra Babu, Assistant Manager, Safety informed that as part of the week long celebrations, several awareness programmes and competitions will be held. On 4th March, which is being observed as National Safety Day in our country, a concluding function will be held in which officials of Sri City and other industrial units will take part.